The contribution Dickens made to our national view of Christmas is reflected on many of the cards we receive: laden tables; mail coaches dashing through the snow; urchins carrying geese. A Christmas Carol will doubtless feature on our screens this as every year, his original a masterwork that for generations has underscored the importance of family, friendship and - more prosaically - festive food at this time: post-ghost Scrooge’s generous donation of the giant turkey to the Cratchits; the warming image of Steaming Bishop; family gatherings. And as if that wasn’t enough, his creepier ghost stories added another dimension to our culture of Christmas. 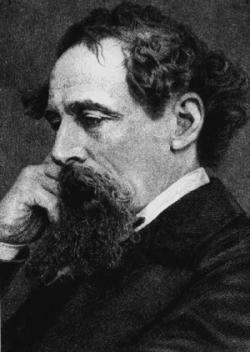 Raise a glass then to Charles Dickens, a very British Christmas hero.